Ahhh, summer. Three months of feeling like I need a shower. When we were kids, the heat never seemed as bad. We loved the summers, and especially the beach. In June or July or sometimes both, our family would pile into the Oldsmobile (emphasis on “old”), and head down to the Texas coast. Then for three or four days, the six of us would live out of a pop-up camper at an oceanside campground. . . . Okay, it was more of a trailer park. . . . Well, “park” is a bit generous. . . . But as a kid it was AWESOME! Thirty years later, we still go to the beach every summer. Instead of staying in a pop-up camper (thank everything that is holy), we rent a condo, and revel in all the amenities that a modern hotel has to offer . . . from air conditioning and a pool, to clean towels and cable t.v.! 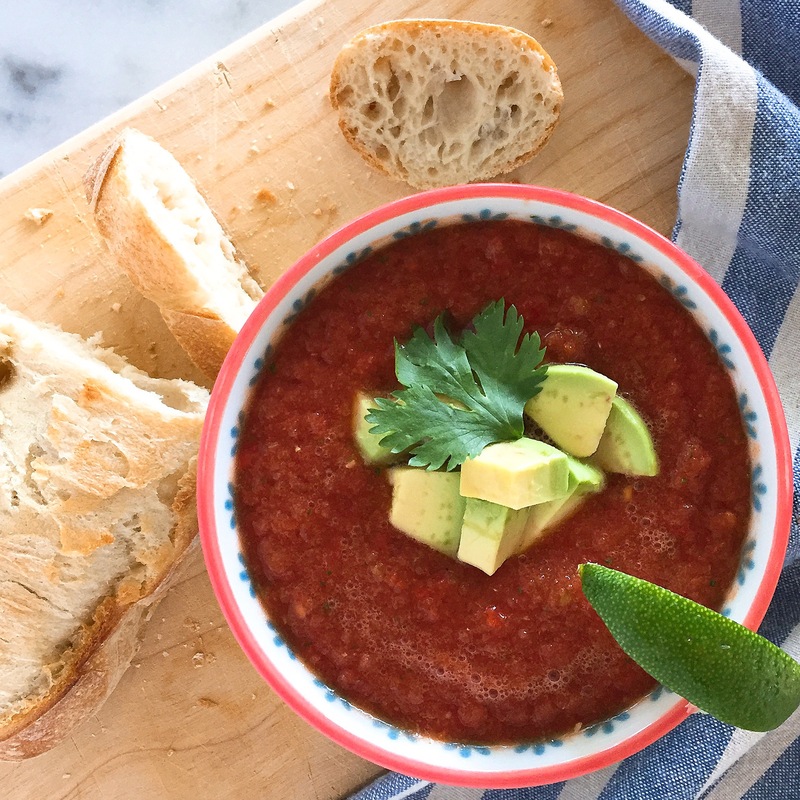 If you need a break from the heat this summer, you’ll love my recipe for Easy Summer Gazpacho, which requires no cooking whatsoever . . . just a few whirs in the blender or food processor. Serve with salad, bread, olives, cheese and a glass of crisp Sauvignon Blanc for a delicious no-cook dinner! And happy sauna, oh I mean, summer! Place the cucumbers, bell peppers and cilantro into a the jar of a blender (or bowl of a food processor). Add about ½ of the tomato juice. Process until cucumbers, peppers and cilantro are finely minced. Transfer to a large bowl. Place the tomatoes in the blender. Add remaining tomato juice. Process until smooth. Transfer to the bowl with the cucumber mixture. Add the red wine vinegar, sugar and salsa. Stir to combine. Season with salt. Cover and chill for 1-2 hours, or overnight (the longer the better!). 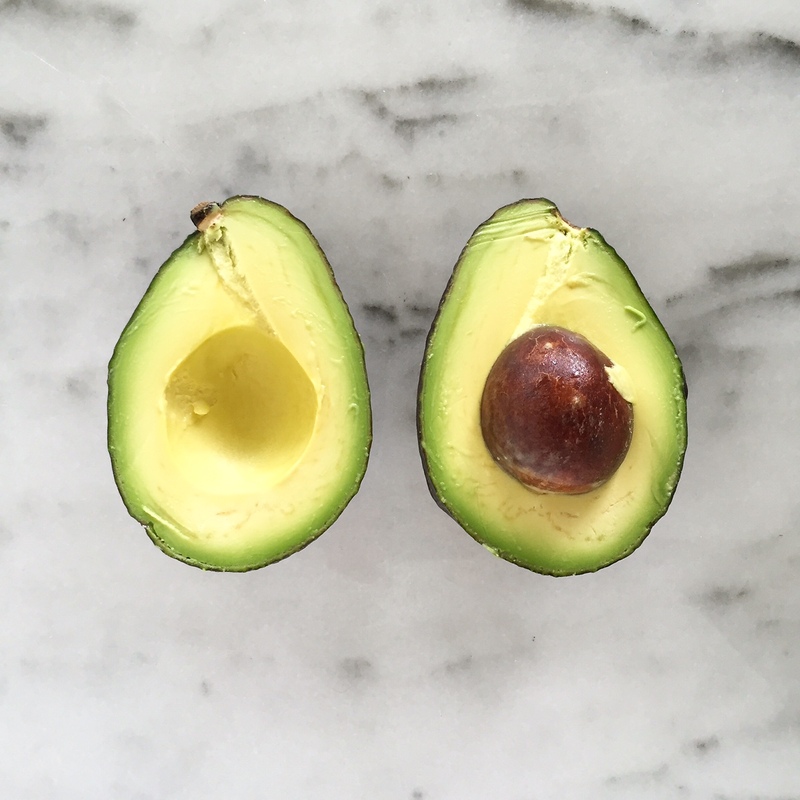 Serve cold in individual bowls, topped with a generous drizzle of olive oil, avocado chunks and a wedge of lime.